Do you desire to become wealthy through real estate, but just can’t figure out how you’re going to get the money and financing to do deals? Are you talking with Sellers and getting leads in that don’t fit your basic buying criteria of paying 65-70 cents on the dollar for properties? Do you find yourself wondering what to do with these Sellers to both help them and make a handsome profit for yourself as well? Are you frustrated with trying to build your real estate business? If this sounds like you, then you need to be at the August meeting of Wild West Real Estate Event! 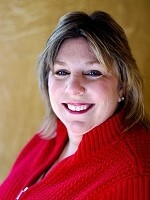 My name is Leslie Mathis, and I’m known for my expertise in structuring deals that are anything but conventional! As a true Master of Creative Deal Structuring, I’ll share with you the basics of this very fine and profitable art. I’ll even show you examples of how I structure deals for both Seller satisfaction and maximum profit! Whether you’re new, highly experienced, or somewhere in between, this is one meeting you won’t want to miss! Join us Monday, August 22nd at 6:30pm at The Cherokee Cattle Company at 2710 Canton Rd. in Marietta for info that you can’t afford to miss. We’ll have door prizes, networking, learning, haves and wants, and as always, a great time! The Atlanta REIA West Monthly Meeting is an Atlanta REIA Subchapter led by Leslie Mathis that is held on the 4th Monday of each month at 6:30 PM at the Cherokee Cattle Company located at 2710 Canton Rd in Marietta. The next meeting will be held on Monday, August 22nd at 6:30PM. Atlanta REIA Members can attend for FREE and guests for $10. Show up at 6:30 PM to eat and network before the meeting officially starts at 7:00 PM. Buying your own meal is optional but highly recommended and greatly appreciated since the Cherokee Cattle Company allows us to use their meeting room. There will be lots of learning and lots of networking. Bring your deals and your haves, wants and needs to the event. See you at the meeting on Monday, August 22nd at 6:30PM at the Cherokee Cattle Company located at 2710 Canton Rd in Marietta!